New York City will have to find another way to lose tens of millions of dollars over the next decade as the 2024 Olympic Games won’t be held among the five boroughs. 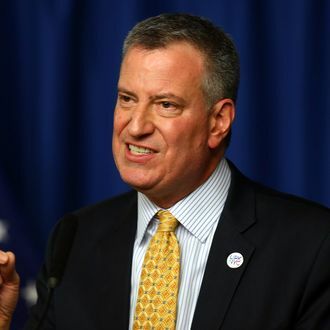 Mayor Bill de Blasio put to bed any speculation that the city would go after the games yesterday after deciding New York doesn’t need the headache or the purported benefits, since tourism and name recognition aren’t really an issue. The architect of the NYC2012 bid, Dan Doctoroff, broached a 2024 bid with Governor Andrew Cuomo, who was reportedly looking into Doctoroff’s proposal earlier this month. But a de Blasio staffer told The Wall Street Journal that the mayor is more interested in “sound economic and public policy” goals than catering to the whims of a two-week sporting event.